Scotland is the place to be in 2019 with a host of new openings, festivals, events and anniversaries. From Edinburgh’s Hogmanay to the Glasgow Film Festival, Scotland is no stranger to staging huge international events. 2019 is set to be the year that the country strengthens its reputation as a top event destination as it welcomes the Solheim Cup for the first time, as well as an exciting new TEDSummit. Read on to discover what’s happening in 2019, the latest food and drink news, impressive hotel openings and exciting new exhibitions to check out during the year ahead. 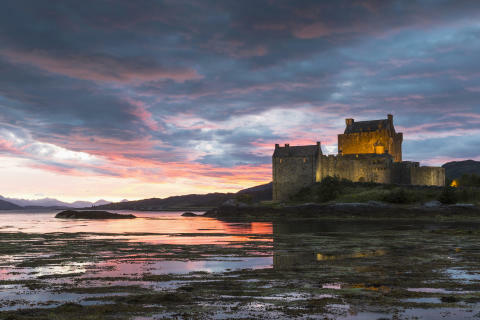 Scotland’s Highlands and Islands have earned their place as one of the top must-see destinations in the world in 2019. Lonely Planet revealed in October 2018 that the regions have been listed amongst its top 10 ‘Best in Travel’ destinations for 2019. Described in the new guide as “one of the wildest, least inhabited and most scenic parts of Europe,” Scotland’s Highlands and Islands have, for decades, attracted visitors from around the world who are drawn to their unparalleled scenery, unique culture and wildlife. The Solheim Cup is the biggest event in women’s golf and one of the most prestigious sporting events on the planet. Next year, it’s coming to…Scotland. The event runs from Monday 9– Sunday 15 September 2019 at the one and only Gleneagles in Perthshire. This comes just five years after the hugely successful staging of The Ryder Cup at the same venue. With more than 100,000 spectators expected to attend from across the globe, this is a must-attend occasion for golf and sports fans looking to experience the passion and atmosphere of this unique event. The nearby Gleneagles hotel has been undergoing refurbishment and in the past year has opened new restaurants, remodelled their bar and added new areas for children. A great option for those visiting for the Solheim Cup. 2019 will see the completion of the Hebridean Whale Trail, the first of its kind in the UK. Hebridean Whale and Dolphin trust have developed a network of 25 world class whale-watching and whale heritage sites across the west coast of Scotland. The trail aims to showcase the history of people’s relationships with whales through the support of the existing wildlife tourism businesses and heritage sites across the Hebrides. Scotland is home to a quarter of the world’s whale and dolphin species and visitors will have the opportunity to catch a glimpse of the amazing marine wildlife all along the west coast. It will highlight the Hebrides as a top destination for tourists and nature fans, and tell the stories that make the west coast such a special and unique place within Scotland. It is set to launch in summer 2019. The European Athletics Indoor Championships come to Glasgow in March 2019. Some of the world’s leading athletes will descend on Glasgow’s Emirates Arena between 1-3 March as the Championships return to the iconic city for the first time since 1990. There will be 650 athletes from more than 45 nations setting their sights on glory. Six sessions will be competed across three action-packed days of competition, with qualifiers and finals contested every day. Medals for events such as the Women’s 3000m and Men’s Shot Put will be up for grabs on day one. Meanwhile, the Men’s Pole Vault and Women’s 400m will be among the highlights on day two, with both the Men and Women’s Long Jump, 4x400m Relay, and 1500m all featuring on an exciting final day. Scotland has fought off stiff competition from around the globe to play host to the next TEDSummit. The prestigious TEDSummit, part of the TED network, will take place at the Edinburgh International Conference Centre from 21 July-25 July 2019, bringing together up to 1300 members of the international TED community. TED is a non-profit organisation devoted to identifying, and then spreading, relevant and potentially impactful ideas. It began in 1984 with a conference converging technology, entertainment and design, and over time the organisation has expanded its topics from science to business to global issues. TEDSummit gathers the most engaged members of the global TED community for community brainstorms, discussions, performances, workshops, outdoor activities and an eclectic program of mainstage talks – in beautiful surroundings. A brand new annual global female cycling event has chosen Scotland as the backdrop for its very first event. The Women’s Tour of Scotland will follow a 350km route across the country and promises to show off Scotland’s breath-taking landscape and further cement its place as an international sporting events host. The tour will show the importance of female cycling and will take place over the course of three days in August with the route to be announced soon. A mass participation event will occur on the same three days with 5000 participants from across Scotland and beyond able to participate. Not to be missed if you’re a cycling fan! Celtic Connections is the largest winter music festival of its kind and the UK’s premier celebration of Celtic music. Glasgow’s annual folk, roots and world music festival, Celtic Connections celebrates Celtic music and its connections from across the globe. From 17 January–3 February 2019, 2100 musicians from around the world will descend on Glasgow and bring the city to life for 18 days of concerts, ceilidhs, talks, art exhibitions, workshops, and free events. The festival is renowned for its strong spirit of collaboration, bringing together one-off line-ups for very special one night only collaborative shows. The camaraderie between musicians continues into the wee small hours at the late-night Festival Club – home of legendary musical collaborations and spontaneous sessions. Up Helly Aa is a tradition that originated in the 1880s. Since then, the festival has been an annual occurrence in the Shetland calendar. Britain's biggest and most spectacular fire festival takes place in Lerwick on the last Tuesday of every January. With a torch-lit parade of almost 1000 people dressed either as Vikings or in all manner of crazy fancy-dress costumes, the spectacular burning of a Viking galley, ceilidhs and all-night partying, Up Helly Aa is guaranteed to brighten up the January gloom. 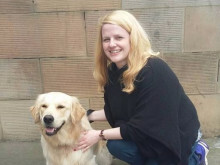 What day of the year combines haggis, whisky and poetry with lots of fun and laughter? Burns Night of course. Scotland is the best place to celebrate the birthday of Scotland’s national bard with a host of special Burns Night events. There will be lavish suppers, family-friendly arts festivals, and opportunities to enjoy the songs and poetry of Robert Burns. Burns Night 2019 marks the 260th anniversary of Robert Burns’ birth on 25 January. Celebrate the birth of Scotland’s national bard, Robert Burns, at a traditional Burns Supper aboard The Royal Yacht Britannia. Due to popular demand, two events will take place in 2019. On Friday 25 January and Saturday 26 January 2019, guests will be welcomed aboard by Britannia's piper to experience an unforgettable Scottish evening. A delicious four course menu will be served in the State Dining Room by Britannia's butlers. Featuring the very best Scottish ingredients, dinner will be prepared by Executive Chef Mark Alston and his team in the original Royal Galleys. Traditional Scottish music will be played throughout dinner by Britannia's musicians and, the highlight of the evening, the 'Address to the Haggis' will be followed by a Whisky Tasting in the State Drawing Room. Glasgow Film Festival is one of the leading UK film festivals. The audience is central to the programming and ethos as the Festival aims to enable audiences to experience the best international cinema. The GFF programme regularly features new local and international film from all genres, mainstream crowd-pleasers and groundbreaking art-house experimentation, the return of well-loved classics alongside rare cult gems, filmmaker guest appearances and interactive workshops and discussion panels to complete the mix! Highland Games combine sport, fun and culture in a uniquely Scottish style; they take place every weekend in the summer. From May to September visitors can get in on the action at one of over 80 Highland Games taking place on islands and in towns, villages and cities across the country - some castle grounds host games too. Edinburgh's Hogmanay shows the world how to party with 3 days of spectacular events, great music and amazing crowds from every corner of the globe. Join thousands of marchers bearing fire-lit torches, enjoy birling to traditional Scottish music beneath the striking edifice of Edinburgh Castle, and watch top stars and incredible fireworks from Princes Street Gardens. Edinburgh International Science Festival delivers one of Europe's largest Science Festivals, giving audiences amazing experiences through a programme of innovative and inspiring discussions, workshops, performances, screenings, special events and exhibitions. The Science Festival brings great minds together for a programme that fosters dialogues about the future of our culture, our nation, our planet and our understanding. The Edinburgh International Children's Festival presents the world’s best theatre and dance for young audiences with performances that are deeply engaging, innovative and inspiring. With an emphasis on striking visual productions, the international programme continuously goes beyond expectations of children’s work, inspiring and delighting both the young and young-at-heart. Established in 1947, the Edinburgh International Film Festival is renowned around the world for discovering and promoting the very best in international cinema and for heralding and debating changes in global filmmaking. Intimate in its scale, ambitious in its scope, and fuelled by pure passion for cinema in all its manifestations, Edinburgh International Film Festival seeks to spotlight the most exciting and innovative new film talent. A mix of red carpet glamour, innovative and exciting cinematic discoveries and massive audience appeal makes Edinburgh’s Film Festival one of the world’s most popular and approachable celebrations of cinema. Edinburgh Jazz & Blues Festival plays host to the finest jazz and blues talent from all corners of the globe. From bop to boogie-woogie to blues-rock, from samba to swing to soul, there's something to suit every mood and musical taste over 10 groove-packed summer days. From the magic mirrors of grandiose Spiegeltents to the opulence of the Festival Theatre to hip jazz clubs, the Festival matches the music to some great venues. The UK's largest annual celebration of visual art, attracting over 250,000 visitors each year, Edinburgh Art Festival brings together the capital’s leading galleries, museums and artist-run spaces, alongside new public art commissions by established and emerging artists and an innovative programme of special events. The festival includes over 40 exhibitions each year, showcasing some of the best contemporary art alongside important artists and works from modern and historical periods. Each year Edinburgh Art Festival commissions new work by leading and emerging Scottish artists, with a particular emphasis on artists who are developing work for non-gallery contexts. The Royal Edinburgh Military Tattoo is an iconic Edinburgh institution. A sell-out year after year, enjoy music, dance and precision from the Massed Pipes and Drums, the Massed Military Bands, cultural troupes, singers with the poignant refrain of the Lone Piper against the stunning backdrop of Edinburgh Castle. Each year's Tattoo is very much a 'global gathering' - showcasing the talents of musicians and performers from every corner of the globe. The world's largest arts festival transforms Scotland's capital every August, as thousands of performers take to hundreds of stages all over the city to present shows of all kinds. The work on show ranges from huge names in the world of entertainment to unknown artists looking to build their careers. Entirely open-access, the Fringe is proud to include in their programme anyone with a story to tell and a venue willing to host them. Audiences can enjoy theatre, comedy, dance, circus, cabaret, children's shows, physical theatre, musicals, opera, music, spoken word, exhibitions and events. Every August, the Edinburgh International Festival transforms one of the world's most beautiful cities, presenting three exhilarating weeks of the finest creators and performers from the worlds of the arts. Edinburgh's six major theatres and concert halls, a few smaller venues and often some unconventional ones too, come alive with the best music, theatre, opera and dance from around the globe. The International Festival presents events which cannot easily be achieved by any other UK arts organisation through innovative programming and a commitment to new work. The Edinburgh International Book Festival programme offers over 800 events featuring the greatest writers and thinkers in the world. From rising stars of fiction to Nobel Prize-winners, it's a place where audiences and authors gather to share ideas, have thought-provoking discussions, be entertained, informed, enthralled, and challenged. There is also a highly regarded programme of events for children and young adults featuring the finest writers and illustrators for young people. From author events and interactive workshops to lively debates and book signings, the Book Festival gives you the chance to meet your favourite authors, hear about their latest work, and get stuck into some gripping conversations. Scotland’s International story-telling festival offers enchanting performances, workshops, as well as talks and events centred on traditional storytelling. This celebration of live oral traditions and cultural diversity brings together Scottish and international storytellers and musicians to celebrate rhythms and methods of storytelling. Inspired by the Scottish ceilidh tradition and its sense of togetherness, this is an inviting community gathering full of tales, anecdotes, music, songs and ballads. Saoirse Ronan plays the titular Mary Stuart, and Margot Robbie portrays her cousin Elizabeth I. Mary's attempt to overthrow her cousin the Queen of England finds her condemned to years of imprisonment before facing execution. The new film promotes Scotland’s rich history and its renowned queen, once again establishing Scotland the top choice as a filming destination. 2018 has been a big year for the country and its presence on the silver screen. The success of Outlaw King, the latest Avengers outing, and Outlander, has raised Scotland’s profile at home and abroad, as well as attracting visitors from across the globe. Outlander season four begins this November with the characters finding their footing in their new American home. The TV series has had massive success across the world and has brought visitors in their hundreds to Scotland’s historical attractions. The new series, although set in America, will focus on Jamie’s longing for his home and heritage in Scotland. The wedding outfits of The Duke and Duchess of Sussex will go on display at the Palace of Holyroodhouse in Edinburgh in 2019 in a special exhibition A Royal Wedding: The Duke and Duchess of Sussex. The newly opened, architecturally stunning V&A Museum of Design Dundee is the only V&A museum in the world outside London. The museum, showcasing the best of Scottish design, sits on Dundee’s waterfront and was designed by Japanese architect Kengo Kuma. The £80 million museum is part of the £1 billion redevelopment of Dundee, the UNESCO City of Design, and its waterfront which lies on the River Tay. Next Spring Moat Brae will open its doors to the public as a national centre for children’s literature and storytelling. Visitors will be able to discover the place where a legend was born; where Peter Pan began. Moat Brae, the enchanted land in Dumfries, was the childhood playground of J.M. Barrie, creator of Peter Pan, and the place where he first found Neverland. The national centre for children’s literature and storytelling will be a place which promotes and encourages imagination and creativity. The attraction will include visiting exhibitions, interactive rooms and a discovery garden. From Harry Potter to Peter Pan, Scotland’s Storybook Trail has been created to celebrate the country’s many links with children’s literature. The trail allows visitors to experience Scotland from a different viewpoint and bring out their inner child! Trace and follow in the footsteps of famous childhood authors and visit the places that were the inspirations behind their novels and characters. A downloadable map is available for people of all ages to start planning their trip to Scotland. Explore the Spirit of the Isles with the brand new Hebridean Whisky Trail. Embark on a whisky tour by road and sea against the stunning backdrop of the Scottish Hebrides along the Atlantic coast. Discover the stories and the communities behind the whiskies as well as the histories and the landscapes that have influenced their productions. Launched in August 2018 the trail is perfect for any whisky fan looking to get off the beaten path! The three new galleries will complete the 15 year journey restoring one of the UK’s finest Victorian buildings and transforming the National Museum of Scotland. The new galleries will be dedicated to Ancient Egypt, East Asia and the Art of Ceramics; each revealing remarkable treasures and creating inspiring learning experiences for all visitors.40 per cent of the objects will go on show for the first time in at least a generation.2019 is the 200th anniversary of the first Egyptian objects becoming part of the collection and the Ancient Egypt displays will present the remarkable culture and achievements of the ancient Egyptians. The East Asia collection, which is one of the most significant in the UK, will offer a unique perspective on East Asia, its diverse traditions and its dynamic cultures. The Art of Ceramics gallery will give visitors the chance to marvel at the collections and explore the use of ceramics in scientific and technological applications. They are set to open 8 February 2019. Scapa Fest is the UK's Yoga and Adventure Festival; a unique Sunrise to Sunset mind-body-nature connection experience in one of the world's most beautiful locations, Ardkinglas Estate, Loch Fyne, Scotland. Scapa is the Old Norse word for refuge. The festival will be bringing yogis, instructors and tutors from all over the world to visit Scotland during Scapa 2019. This year the festival hopes to be a 100 per cent renewable energy powered festival. From the North East to the South West, Scotland offers stunning drives against spectacular backdrops, showcasing the best sites of the country. The South West Coastal 300 is a 300 mile route which follows the coastline, passing by some of the regions diverse scenery and highlighting its natural beauty. There is so much to explore along the way including a multitude of interesting town and villages, one of which is Scotland’s highest village! The roads are quiet in this area which means more time to stop and admire the surroundings. 2019 will mark 70 years since the release of George Orwell’s dystopian novel 1984. The classic book that relies on government control and surveillance as its main theme was not, as many would think, written in one of Britain’s major cities. Orwell wrote this book on the secluded and tranquil Isle of Jura in the Inner Hebrides. Fans of 1984 can stay in the very place the classic was penned– Barnhill. The house is still as secluded as it was in Orwell’s time and is available to rent for anyone looking for a bit of peace and quiet and an escape from technology and the modern world. The well-loved film, ‘Ring of Bright Water’, celebrates its 50th anniversary in 2019, which coincides with the 50th anniversary of Gavin Maxwell’s death; the author of the book and named protagonist in the film. Fans of the classic can visit some of the locations it was shot and the places that Gavin Maxwell held special. Most of the filming took place in Argyll and Bute on the west coast of Scotland and in the Highlands. Those interested in the setting for Camusfearnacan travel to its true location, Sandaig, on the west coast of Scotlandand visit the Island of Seil which houses the village, Ellenabeich, also featured in the film. The Lookout is one of Edinburgh’s most anticipated restaurant openings. As part of the partnership between Gardner’s Cottage and Collective, The Lookout is the first ever restaurant on Calton Hill and is part of the wider redevelopment taking place there, including the City Observatory and the City Dome. Built on a cantilever the restaurant is partially suspended over Calton Hill’s northwest slope which promises diners spectacular views across Edinburgh and the Firth of Forth. The menu offers dishes based on local, seasonal produce with an inventive twist on the food that Gardner’s Cottage has become so well-loved for. Independent craft brewer, BrewDog, has announced plans to build the UK’s first craft beer hotel. BrewDog will launch an immersive craft beer hotel & brewery expansion at the brewery’s headquarters in Aberdeenshire, Scotland. The DogHouse, as the hotel will be called, is scheduled to welcome guests in the first half of 2019. The 26-room DogHouse will feature beer taps in the rooms, a built-in shower beer fridge, and rooms will overlook the brewery itself. Guests will be able to watch brewers at work from rooms overlooking the new facility, providing the ultimate immersive beer experience. The new Point A Edinburgh – the second Scottish property for budget-boutique brand Point A Hotels – opens close to Haymarket Station with 149 guest rooms (including 8 accessible rooms), enjoying breath-taking views over Edinburgh’s iconic buildings. The hotel will feature a spacious 24-hour reception and lobby lounge where The Brekkie is served daily, and refreshments are readily available. Superfast WiFi is available throughout. Point A’s signature loyalty programme, the A-List, will offer extra value to guests through local restaurants and bars. The arrival of Point A Hotels in Edinburgh will bring low-priced, stylish rooms to the centre of the city – the most visited destination in the UK outside of London. Point A Edinburgh is the eighth property in the Point A Hotels portfolio which also includes six properties in London and one in Glasgow. Opening early next year, this major investment by the Royal Yacht Britannia will provide the ultimate luxury experience: a floating hotel berthed at The Shore, Edinburgh. The 23 beautifully styled cabins, all named after Stevenson lighthouses, are inspired by Fingal’s rich maritime heritage. With a cabin for every occasion - guests will be able to choose their own private balcony, a duplex cabin or, for that special occasion, the stunning presidential suite. All of this is only a short stroll away from two Michelin starred restaurants in the vibrant Leith neighbourhood. A new addition to Scotland’s luxury hotel portfolio is the Fife Arms, set in the scenic Scottish village, Braemar, near the city of Aberdeen. The landmark building is being restored to its former splendour with the design of the hotel echoing the Aberdeenshire countryside and culture, mixing Scottish tradition with modern Scottish elements. The unique hotel will feature 46 bedrooms and a restaurant serving local and fresh produce. Its location means that visitors will have direct links to the breath-taking highland landscape. A new hotel is set to open in Edinburgh early next year on Market Street, a place where the city’s historic Old Town meets the New Town. Carlton Hotel Collection, which owns international four-star quality level hotels, are behind the new hotel which is set to be their second opening in the UK. The hotel will feature 98 modern, boutique style rooms and suites. The top floor will offer some of the best panoramic views across the city, from Princes Street gardens to Calton Hill. The building will compliment Edinburgh’s World Heritage ‘skyline’ with historical references throughout the interior. The Kingshouse Hotel has been created around an 18th century droving inn. Set in the heart of Glencoe in the Scottish Highlands, one of Scotland’s best playgrounds, it is a popular choice among those who enjoy the great outdoors. The re-opening will keep the hotel as a place for those who enjoy sport and the great outdoors with comfy rooms, roaring fires and natural materials being features of the new hotel. A new extension has been added but the original droving inn remains the centrepiece. The 42-room hotel and ‘poshtel’ will welcome both leisure and business visitors seeking affordable accommodation in the Granite City. Located on Bath Street, previously the site of The Royal Hotel, the £500,000 refurbishment took just under 12 months to complete. Bringing new life to the building that housed the well-known hotel for 137 years, the team behind the hotel have set out to bring the new ‘poshtel’ concept, currently featuring in top European destinations, to Aberdeen. Visitors coming in to the city can enjoy Aberdeen’s thriving nightlife and restaurant scene as well as world-class acts at city venues. Found in an Edwardian building formerly home to the Anchor Line Shipping Company’s headquarters, this Glasgow city centre aparthotel draws on the opulence of a 1920s ocean liner. The original 1906 features have been kept intact, with glazed tiles, terrazzo flooring, timber wall-panelling, stunning fireplaces and even the original safes. The Art Deco exterior of the building has been maintained with nautical emblems, seaweed, and shell details featuring on the original façade. The serviced apartments offer 24 hour reception and come equipped with kitchens for a more authentic ‘native’ experience/stay in the city. The Grandtully Hotel by Ballintaggart is a newly opened and completely transformed Victorian hotel with a modern heritage feel. Created by family team Andrew, Chris and Rachel Rowley it includes a vibrant bar, eight individually designed feature led bedrooms (four with heritage cast iron baths and showers and four shower rooms), a library, private dining room, outdoor terraces and 30 cover restaurant. Taking its lead from Ballintaggart Farm, The Grandtully Hotel by Ballintaggart is focused on an exceptional food and drink experience. Expect a sophisticated yet welcoming experience at any time of the day or night. A new £10.7 million urban whisky distillery and bottling complex is to be built on the banks of the River Clyde in the heart of Glasgow. The ambitious and innovative project is being masterminded by one of the country’s fastest growing Scotch whisky firms, Douglas Laing & Co. The Scotch specialist, has announced that its new distillery will be named the ‘Clutha Distillery’. ‘Clutha’, meaning Clyde in Gaelic, reflects both the company’s heritage and the location of the new distillery, which will sit on the banks of the river in the heart of the city. Situated next to Holyrood Park, this city-centre distillery is located right in the heart of Edinburgh’s distilling history – on St. Leonard’s Lane. The 180-year-old Engine Shed building – steeped in railway history – will be thoughtfully renovated to suit the distilling needs, while making room for the visitors. Under the guidance of Head Distiller, Jack Mayo, the distillery will produce a range of single malts, gins, liqueurs and other spirits. Holyrood’s progressive approach to playing with flavours, ingredients, distilling processes and maturation will set it apart. This ‘flavour first’ focus will be brought to life in a matter of months with prototype gins and liqueurs being made available for testing. The visitor centre aims to provide a totally new kind of distillery visitor experience, immersing guests in the flavour sensations of Holyrood’s range of spirits. A brand new Single Malt Scotch Whisky Distillery will be opening on the Isle of Arran in the West Coast of Scotland. The new distillery is located near the village of Lagg on the southern tip of the island in an area that was a hotbed of whisky production in the late 18th and early 19th century. The Lagg Single Malt will be heavily-peated in a style reminiscent of the original Arran whiskies. The distillery will open in Spring 2019 along with a brand-new visitor centre. PLEASE NOTE: This copy was correct at the time of going to press. VisitScotland cannot guarantee the accuracy of the information and accepts no responsibility for any error or misrepresentation. All liability for loss, disappointment, negligence or other damage caused by the reliance on the information contained herewith, or in the event of any company, individual or firm ceasing to trade, is hereby excluded.